The HOME TEAM® makes it easy to one-stop-shop and add finishing touches to your new or existing windows. Whether it’s ambience or a particular trend you’re after, we can provide you with a number of diverse solutions. 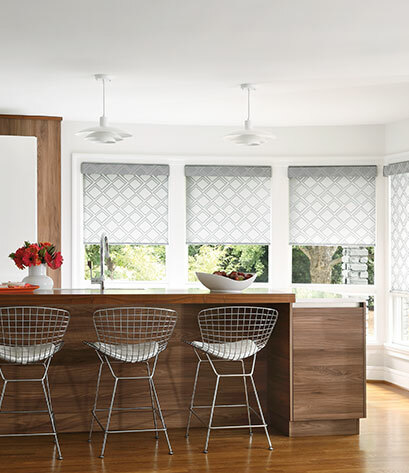 With Hunter Douglas blinds, the HOME TEAM® carries a diverse collection of sheers, shades, honeycombs and blinds available to suit your preferences. If shutters are what you’re looking for, we’re able to tailor them to fit most window shapes based on your home’s needs, and our diverse selection of suppliers. When properly installed, window blinds and shades are one of the simplest and most effective ways to save energy in your home. Colour, material, coverage and quality all play a role in the effectiveness of your window coverings on heat loss and temperature retention. This stylish addition to your room can also become a sound long-term investments for your home. They look just beautiful and are already making the place cooler in all of the heat. 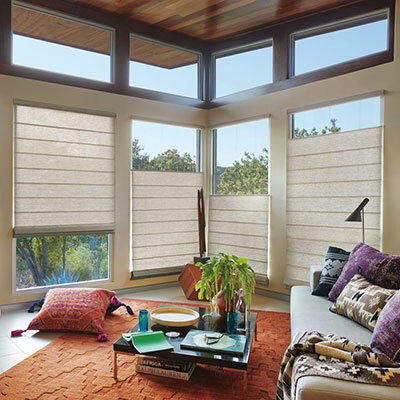 For transforming ordinary sunlight into extraordinary room ambience, nothing surpasses Hunter Douglas blinds. 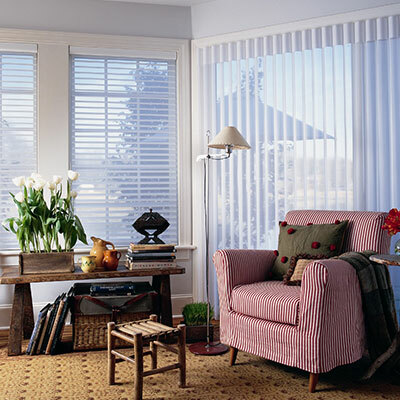 With a diverse collection of sheers, shades, honeycombs, shutters and blinds, you’ll have access to a wide selection of genuine hardwoods, aluminum, vinyl and fabric options. 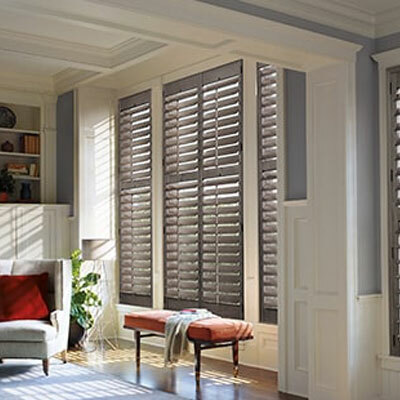 Shutters add a sense of luxury to virtually any room and will ensure years of great performance. Our Hunter Douglas shutters are factory-built to fit most window shapes: Eyebrow, Half-Circle, Quarter Circle and many more! 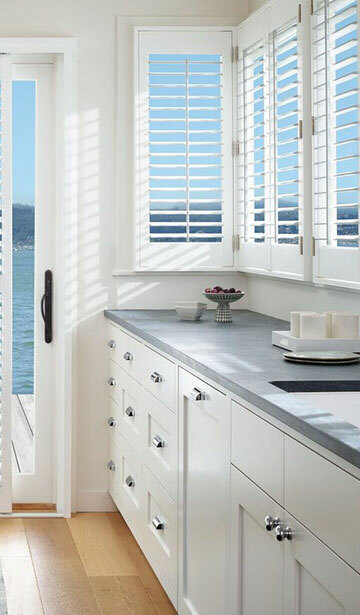 Transform your windows into fashion statements with the practical, affordable shutters. For over 50 years, the craftsmen at Van Dolder’s Custom Exteriors have helped homeowners update and improve their living space. From custom window, door and siding design to expert installation, the HOME TEAM® strives to exceed expectations.